Here's my latest repricing setting using Repriceit. In short, I match the low FBA offer for my sub-condition or better. If there are no FBA offers, then I price my items 25% 50% higher than the low merchant fulfilled offer. In order to do this, I set up two templates. The first template matches the low FBA offer for my sub-condition or better. If there are no competing FBA offers, I set the default price to $395 (more on this later). The second template is based on price. This will grab all of my $395 priced inventory and price those. In other words, it will be pricing my inventory that did not find any competing FBA offers to match. I price these item to be 25 50% higher than the lowest MF price for my sub-condition or better. In conclusion, I'm trying to match the low FBA price. If there are no FBA sellers, I'm pricing 50% higher. This is because FBA items can sell quite a bit higher when there is little FBA competition. I have to run template #2 about three hours after template #1. 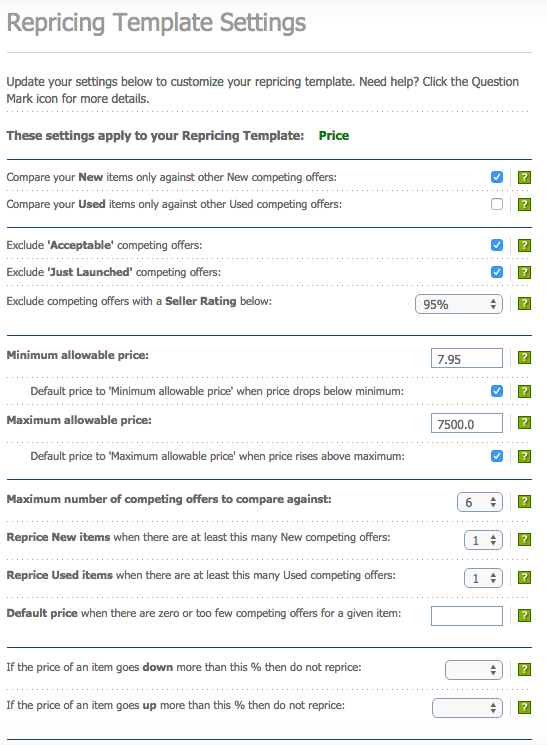 For some reason, Repriceit won't grab my $395 prices if I price template #2 right after template. 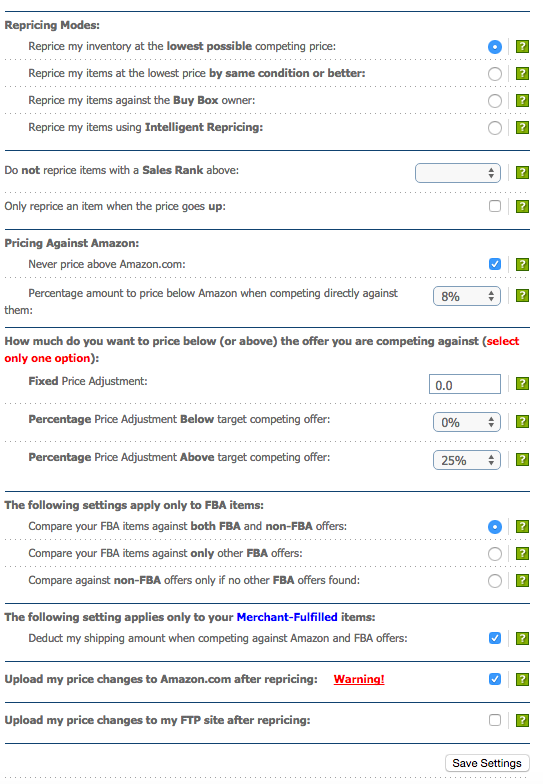 Repricers only see the FBA offers if they are within the top 20 competitive offers. So this won't be perfect, but it's been working well for me. If you try this strategy, make sure you have the min and max price set on your Amazon listings. Otherwise Amazon will deactivate your $395 listings due to pricing error. You can set the min and max price directly on seller central. Also, ScanLister has the min and max price built in so you don't have to worry about it. End Note: Repriceit is a perfect complementary software for ScanLister. 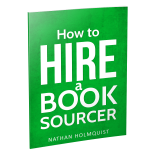 List your books in bulk and automate the pricing with a repricer. Try ScanLister free for 8 days. There's a no monthly fee option as well. Just curious how using two rules work together. Wouldn’t the item using the 2nd rule keep reverting back to $395 because it still meets the criteria for rule 1 (zero or too few competing offers). No, the second template is looking at FBA and Non-FBA offers, so it will always find an offer. That make sense Nathan, thank you! Also, the 3-hour delay between running the rules. If there is more than one daily schedule for repricing, would the first template rule keep reverting back to $395? For example, in the first template, default price ($395) is given a book that is considered as zero or few competing offers, and the second template runs after 3 hours and it reprices the book to $25.00. In the second schedule(let’s say it is in the noon), is it going to rule the book reverting back to $395 since the template will see it as zero or too few competing offers again and give $395? Thanks for posting this. I’m still trying to learn how to use RePriceit and welcome any guidance. Just curious, why did you change your repricing template? How is this template an improvement over your past templates? When you applied this, did you see more sales? And also, doesn’t your second template actually put your price 50% over the lowest MF and not 25%, or am I reading that wrong? Thanks again for all the knowledge you share. I personally think this is an improvement. I see higher sales with this. You’re right – it says 50%. I have changed it to the correct amount of 25%. Thanks so much for this, your repriceit posts are of of the things that have most helped my business. this is much superior to your old repricing template in my opinion. thanks for sharing. Changing the template also helps grab books that for whatever reason are not being priced in a way that creates sales. Ie, I find that change for changes sake will help provide a short term uptick in sales. Nathan, this sounds good and I will give it a try. Everyday there are more new FBA sellers pricing incorrectly and very low, and or the larger FBA seller with has old inventory just looking to purge some books cheap and cleanup inventory. Would your settings match there low FBA pricing and give away your book……..your thought what am I missing. I price once a week. I also set a floor price to prevent my prices to get too low. Switching to Scanlister helped me with this problem. In Scanlister you can set a min and max price for your books that is automatically tagged on each book you list. Mine is min $3.5 max $9999. I havent had an issue since. What is your thinking behind having 6 for “Maximum number of competing offer to compare against”? That’s set as the default on Repriceit. I haven’t really given it much thought. Amazon wants you to set a min and max price to prevent “possible pricing errors”. You can do that automatically on ScanLister. Or you can manually add them in on your seller account. I’m thinking about trying out ScanLister. The software I currently use has an accounting feature. What do you use to accommodate your accounting needs for your Amazon biz? Also, ScanLister will list any product in the Amazon catalog, correct? I hire a bookkeeper and a CPA for my accounting needs. 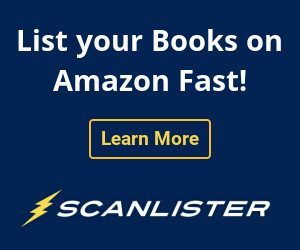 Yes, ScanLister can list any product in Amazon’s catalog. Nathan, my other question… when you say the 2nd run wouldn’t update unless you put it 3 hours out, was that because your 2nd run results kept coming back blank/no changes? That is what I am seeing now. Won’t this strategy cause undercutting other FBA offers and undervaluing your better condition items if your FBA item is in a better condition than the currently available FBA listings? For example, your item is VG or LN condition, but there are no VG or LN listings, only several Good and Acceptable FBA listings. Repriceit would find no FBA items in your sub-condition or better with which to compete against and thus reprice to $395. In the second repricing event, the Repriceit would then price against the absolute lowest (likely MF Acceptable or Good) offer, simply upping the price by 25%. The problem is that this can easily place your VG/LN offer BELOW the current (Good, Acceptable) FBA offers. If, for example, the lowest landed MF price (price +shipping) is $7 and the lowest FBA offer is in Good condition and priced at $12. In this case, your VG/LN item would be priced at $8.75 – significantly undercutting the current FBA offer that is in a LOWER condition than yours. 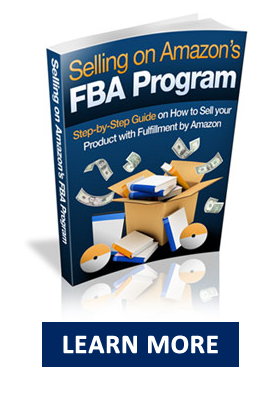 You will definitely get the next FBA sale, but you will lose a lot of potential profit as well. Multiply this loss over a large inventory and the loss potential is great. Also, another negative consequence is that the other FBA seller’s repricer might kick in and lower their offer to below yours (since yours is in better condition), effectively lowering the overall FBA market price and potentially accelerating the dreaded “race-to-the-bottom.” Is there a solution to this problem or am I not seeing something correctly? I’m still experimenting. I may raise it to 50% higher on the second template. What settings do you recommend? I’m still experimenting as well. I haven’t discovered a completely automated system using Repricit. In addition to raising the percentage, perhaps repricing ONLY acceptable/good books in the second template? Then, repricing the remaining $395 VG/LN manually in Seller Central or by running a third template in Repricit for only $395 VG/LN and then tweaking THEM individually (at least for first time pricing)? To automate that part, all I can think of is to train a VA to do it. 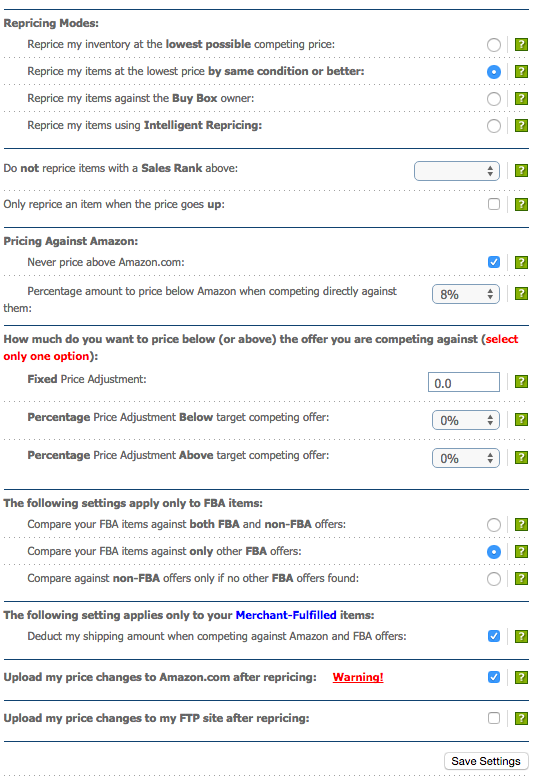 Like I said, with the given Repricit parameters and Amazon API limitations a completely automated solution that maximizes profit seems impossible. I would love to hear other people’s input as well. I too have noticed this quirk in the repricing scheme of things. Being an Ex-Repriceit I can assure you that some of the issues in this repricing discussion are due to the limitations, inflexibility, of Repriceit’s rules settings. If I may suggest some changes to the rule setting in question. First, comparing your book’s condition to equal or lesser (instead of greater) condition would keep you in the “FBA Game” as long as possible and prevent your Very Good conditioned book from being priced equally to New books and forever being in their shadows. And secondly, setting a fixed price, of say $4.97 more than the lowest priced Merchant Fulfilled, would increase your profits substantially compared to a 25% increase, especially against penny books. Needless to say, this rule setting’s profit increase will taper off at the $20.00 price point. 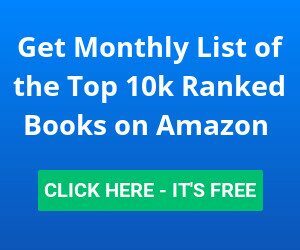 But I personally believe that any book worth $20.00 or more without FBA competition should be manually priced anyway. Thank you for another excellent post Master Holmquist. And for the thought provoking discussion Master Dondie. I am currently using SellerEngine Plus for both listing and repricing. I found ScanLister to be an excellent tool for listing, but also being a Data Guy, i “crave” the amount of information I recieve from SellerEngin Plus about my inventory and competion. Also i too am forever experimenting. Please let me know if either of you have tried it and if so your thoughts. Kermit – wondering how you’ve found the customer support at SellerEngine? Their repricer settings make more sense to me, but the reviews/interaction with customers on their FB page seem lacking. Though most of the reviews are re: ProfitBandit, and not their repricer. Would love your feedback! Hi Nathan, thanks for the post. I agree w/ Dondie, there’s no automated RepriceIt template, given the API limitations, that isn’t losing significant profit overall on your books inventory. 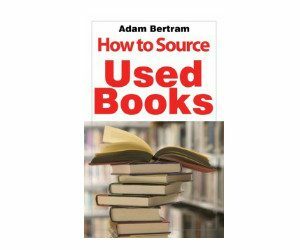 If your goal is to maximize profit, then you need a human hand inputting your repricing given all the variables to price books. Otherwise, what you lose in profit using this template, you can make up in volume. But you are losing profit on this template. Perhaps someone else can chime in who has found a better solution. 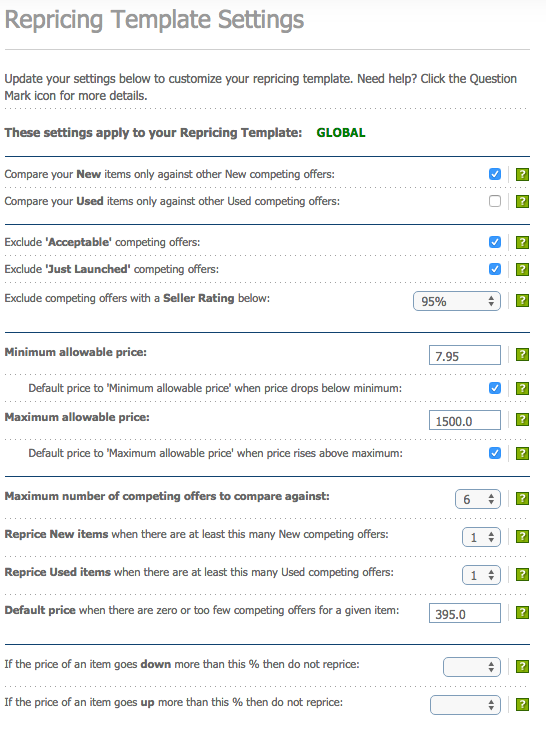 “These settings apply to your Repricing Template: GLOBAL”. for the second template that is to be ran 3 hours after the first how do i change the “GLOBAL” to “PRICE”? also i live in Hawaii so its a little more work for me as far as shipping etc so how do i set my FBA prices a little above FBA prices? i dont want to match them just want to go a little above. Hi Nathan. Thanks for the post. I have some retail items that are not books in my inventory as well. Do you think these templates would work with the non-book items? I am currently using a different repricer. I have not successfully perfected settings with my current one and reprice it looks more straightforward but guidance from your templates for books, if I could for non books too, may tip the scales for me. All of the resources I’ve turned to for assistance in the last few month unfortunately have not led to much success with perfecting my settings ….yet. Thus my contemplation of a new repricer. Thanks in advance for your input. I just tried the template you suggested and it deactivated over 200 listings due to potential pricing error. Now I’ve got to manually go in and set prices. There doesn’t seem to be an automated way to do this. You will need to set a min and max price on Amazon so your listing won’t get deactived. ScanLister has this feature built in. Ok, I tried ScanLister and I found two things, 1) it didn’t recognize several UPCs, which meant that I had to go to amazon and find the item. 2) there didn’t seem to be a way to print labels as you list, which is what I prefer to do using my Dymo. After a few tests, I gave up and went back to Inventory Lab. I just got setup with Repriceit and ran across this article. I cannot say if sales increased yet after 2 weeks. A lot of inventory still just sitting there without repricing. Can’t tell why even after reading reports. A friend suggested I do 2 temples, one for books under 1 million ranking and under, and one 1 million and over. Not really doing so hot. The “intelligent pricing” doesn’t seem to do anything either. This is all so confusing. I think I’m just going to copy these templates. Hi Nathan… do you ever use the intelligent repricing button in the Repricing settings? what are your thoughts and experiences with this setting? I just got RePriceit and have been playing with it for 3 days. I’m a little confused here…if you set your repricer to run only once a week, that means that when you list your inventory with your default price of say $100…it doesn’t get repriced until your repricer kicks in? …this could mean that your newly listed inventory is sitting there for up to a week at the default $100 price…or am I missing something? —-what’s to stop the item from being repriced back to $395 again the next time the repricer runs your GLOBAL template? That’s about it, great stuff as usual and thanks! How often do you run this template? I remember reading somewhere that you reprice once a week but I also remember reading an old blog post from Cynthia Stine saying you set your repricer to run everyday? Which one is it? Hi Nathan! Is this process still working for you? I’m finding that even when I run my templates 3 hours apart, Repriceit is not capturing my items repriced at $395. I have to go in and manually pull the latest inventory report and then run the template again. Any suggestions? Thanks! Hi, I have followed the two templates listed above. I have about 400 items up on FBA and about 40 of them are stuck at 395.00 even after the both templates have run 3hrs after one another. Any idea on how to treat this issue? Hi Nathan, after 11 months…any suggestions/any more info. on tweaks. I’m brand new to setting up a repricer and am fairly confused by how they work, etc. Would love to see an update on your settings. Thanks for what you’ve shared so far! Hi Nathan, looks like 7.95 doesnt cut anymore with the new fee hikes? I had 10 books deactivated due to potential low price..thanks! You may want to look at your minimum price on seller central. If it’s set higher than $8, you $7.95 listings will be deactivated. Hi Nathan. Love this but I have found it oscillates between the default price you choose (I chose $750) and the template that prices 50% higher than the MF price. Back and forth, back and forth. Would love your thoughts. Nathan…..great work. Love your stuff. I have quite a few books with no fba competitors. Do we increase 25% or 50%? Which one is better? Above it has 25% crossed out and says 50%. Than in a comment it says it should be 25%. It’s really up to you. 50% higher might make the price it too high, and you will have to wait longer for the sale.